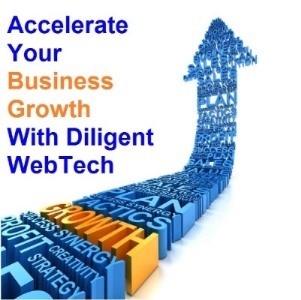 Diligent Web Tech is an award winning web / mobile app design and Development Company providing end-to-end solutions to Digital Agencies, Enterprises, SMEs and Startups. Since our establishment, we have provided web and mobile app development solutions to the clients spreading all over the world. Based in New Delhi, we are highly acknowledged among our esteemed clients for our SLA driven approach, on-time project delivery, transparent dealing and flexible engagement models. We are backed by a team of skilled and dedicated web and mobile application developers who are well versed with the latest web and mobile app development technologies. Our experts also provide technology consulting services that help businesses to find the best technology as per the need of their business. We are working with a mission to serve our esteemed customers with affordable, technically advanced web & mobile app development solutions with exceptional customer service. In order to provide continued customer contentment, we bring out the best in people, process, technology with top quality solutions. Our vision is to become a prime performer in providing quality web designing, web development and digital marketing solutions in this highly competitive global marketplace. Our vision is also to help businesses all over the globe to harness the power of Information Technology in a cost effective way with our proactive solutions. We are backed by an experienced team of professionals that always strives to provide the best solutions to our precious customers. Our team is well versed with the latest tools and technologies that helps them to meet the most advanced requirements of different businesses. Our team has an average 5 years of experience that help them to tackle the most difficult situations in the IT industry.